Jean Renoir was not cut out for Hollywood. Like many European directors fleeing the Nazis, he landed in LA around the beginning of WWII. And like many European directors fleeing the Nazis, he found himself faced with a choice between working on genre films or hardly working at all. He made a few movies that more or less fit the standard Hollywood mold, but that wasn’t really what he was interested in. The studios wanted movies about gangsters, dancers, cowboys and comedians. Renoir just wanted to make movies about people. In 1944 he got his chance, but it didn’t come easy. According to the AFI web site, Renoir was not interested when he first read Hugo Butler’s screenplay based on the novel Hold Autumn in Your Hand by George Perry Sessions. But he must have seen possibilities in the project, because he ended up rewriting the script himself. 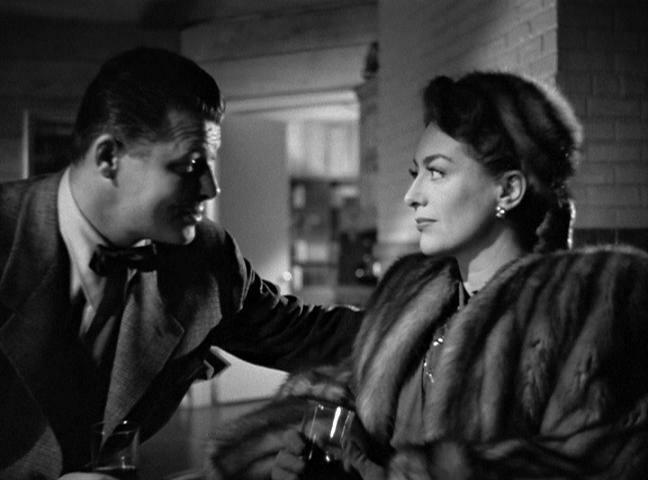 Having signed Joel McCrea and Frances Dee for the leads, producers David Loew and Robert Hakim arranged distribution for the film through United Artists. But when McCrea bailed out because of creative differences, UA wanted to bail, too. Loew got them to reconsider by threatening to withhold other productions that the distributor was interested in. Zachary Scott and Betty Field stepped in to replace McCrea and Dee. 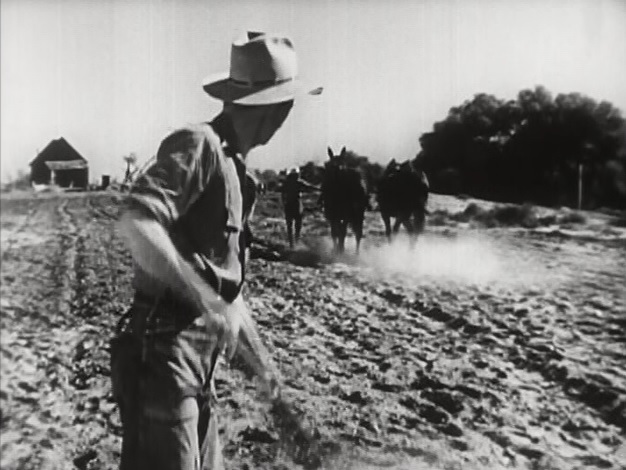 And Renoir began shooting the film that was eventually titled The Southerner. You can find a few different stories in The Southerner, but really it’s just about a family trying to scrape by living on the land. At the start of the film, Sam and Nona are picking cotton on a plantation, barely making enough to get by. Sam makes a deal with the boss to take over a nearby farm that’s been lying fallow for years. The film follows the Tuckers as they clear the land, plow it and plant it, always struggling to overcome the obstacles that life puts in their way. Instead of inventing an artificial plot to give the film structure, Renoir allows the passing of the seasons to give The Southerner its rhythm. Husband and wife working the land. Apparently the director had wanted to shoot in Texas, but ended up having to find the locations he needed in California. Cinematographer Lucien Andriot’s handling of the natural light shows both sensitivity and subtlety. We can feel the heat beating down on Sam and Nona as they’re sweating in the dusty fields. We can see the sky reflected in a placid lake as Jot goes wading by the shore. And while there’s a fair amount of studio work, the sets blend almost seamlessly with the real locations. Production designer Eugène Lourié, a longtime collaborator of the director’s, not only makes the Tuckers’ scraggly house seem a natural part of the landscape, it also feels completely lived in. The film has a wonderful ensemble cast. Charles Kemper disappears into the role of Sam’s amiable friend Tim. 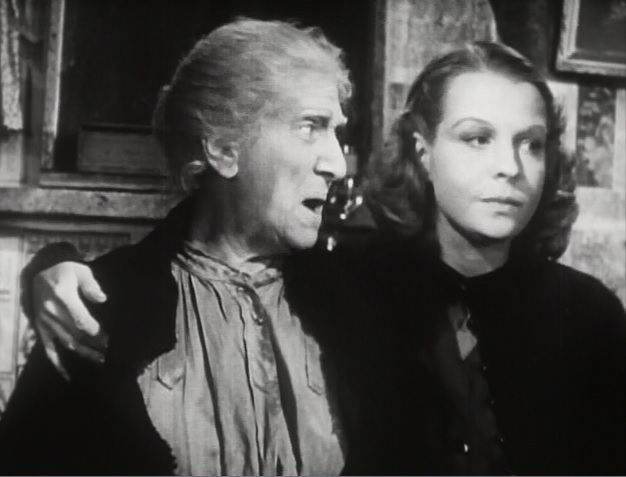 Veteran character actor Beulah Bondi is in fine form as Granny. If she’s cranky and difficult, it’s because life hasn’t been easy. Her face and her body appear to have been worn away by the elements. The child actors here don’t seem to be acting at all. Jay Gilpin and Jean Vanderwilt are surprisingly unselfconscious as the Tucker children, Jot and Daisy. But the movie is centered on Sam and Nona, played by Zachary Scott and Betty Field. They’re an idealized vision of rural Americans, simple, hardworking people who just keep moving forward no matter how hard things get. Usually Hollywood turns characters like these into tedious clichés. Here Renoir uses his gentle, unforced approach to put this humble couple at the center of his poem about the rural South. Betty Field plays Nona with a straightforward simplicity that’s easy to take for granted. I’ve seen the film a number of times, but it’s only recently that I began to appreciate how good her performance is. Field had a long career on stage, screen and TV, but she never called attention to herself or her work. As a result, she was overlooked during her lifetime and now she’s pretty much forgotten. As Sam, Zachary Scott seems like an agreeable, easygoing guy, but there’s a toughness beneath the surface that gives the character strength. Scott was an intelligent, versatile actor, who, like Field, seems to have faded into obscurity. It’s too bad. They both deserve more attention. While Renoir felt that The Southerner was the best of his American films, it’s never gotten the attention that his earlier work received. These days it’s fallen into the public domain. It’s available on DVD, but the quality isn’t great. My guess is that the distributor started with a faded sixteen millimeter print. This movie deserves better. I have no idea how many prints are out there, or what condition they’re in, and I know restoring and remastering a film can be costly, but I wish somebody would put together a quality re-release of this movie. The Southerner has been neglected for far too long. Won’t somebody adopt this beautiful orphan?